All pain is actually sensed in the brain; it is not "out there" in the body where the injury may have occured. The brain is ultimately in charge of how pain is perceived and localized. The brain also registers pain emotionally, and emotional resposes such as fear or helplessness can become attached to the pain sensation itself and can change how pain is experienced. Persistent pain over longer periods of time will result in greater and more complex changes in how the brain processes the incoming pain signal and ultimately how pain is actually experienced. Chronic pain is associated with pathologically altered brain activity and morphology. Normalization of these alterations is associated with decreased pain and improved function. Neurotherapies such as EEG neurofeedback, BAUD therapy, and transcranial direct current stimulation (tDCS) can reduce experienced pain by changing brain activity back towards normal.. 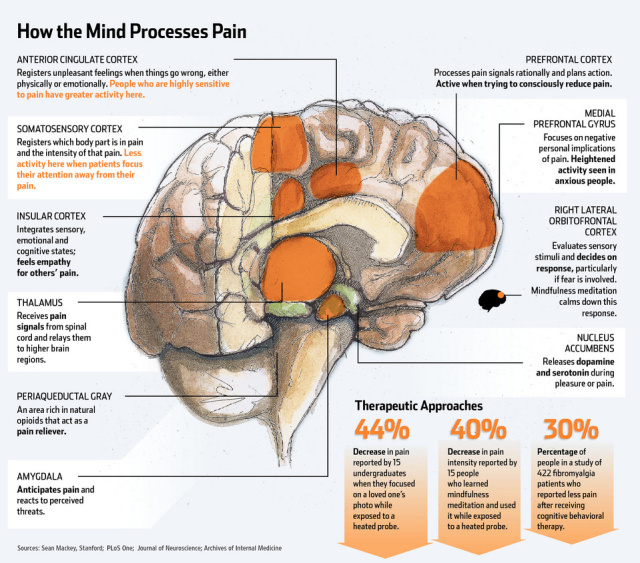 The illustration below shows how different brain areas are involved in processing pain-- both acute and persistent or chronic pain. These brain areas are all potential targets of neurofeedback training or neuromodulation therapies as well as such other approaches as cognitive-behavioral psychotherapy and various meditative practices. EEG neurofeedback has been successfully used with chronic pain sufferers to attenuate their pain experience. In chronic pain we assume that the injury, which originally gave rise to the pain has healed, yet the pain survives and may even worsen over time. Constant endurance of pain can lower the brain’s pain threshold over the course of time, increasing the perception of pain. In other words, the brain pays ever more attention to the sensation of pain and the experienced pain becomes more intense and unbearable. In general, when the human sensory system is presented with a constant stimulus, there is a gradual loss of response to that stimulus. This is well known from common experiences with both vision and hearing as well as touch. This process is called accommodation. The only known exception to accommodation is the body's response to persistent pain. Instead of accommodating to and developing a tolerance for persistent pain, the central nervous system and brain increase their sensitivity to the pain stimulus by lowering pain thresholds. Perhaps this has a particular survival value. There is evidence, for example, that the hypothalamus increases the weight set point after dieting. This appears to be done for survival. It therefore makes sense that the pain threshold may also be lowered with persistent pain for survival. In treating clients for a variety of disorders, clinicians began to notice that EEG neurofeedback often had a positive effect on chronic pain. Although these results were initially unexpected, we have now come to believe that EEG neurofeedback can be a powerful adjunctive tool in the treatment of chronic pain. EEG neurofeedback brainwave training can succeed in raising the threshold to pain and may even restore it to a more normal level, thus lessening the perception of pain. If there is no continuing injury, the pain threshold can at least be returned toward normal values and pain ameliorated. EEG neurofeedback can help the brain recalibrate its pain thresholds. The mechanism by which EEG neurofeedback works is to feed the patient information about his various brainwave states which correlates with various physical and mental states. Through a training process, the patient is then able to increasingly bring his brainwave states under voluntary control. Therefore, he can increase the activation of the underaroused brain or slow the over-aroused brain. This has been shown clinically to affect the chronic pain condition. It is like any other learning process. By giving appropriate feedback, the individual is able to gradually gain control over his psychological and physiological functioning. The more EEG neurofeedback training a person undergoes the more mastery he gains. EEG neurofeedback training is presumed effective in remediating chronic pain because the brain has become disregulated by paying too much attention to pain and lowering its pain threshold so that previously non-painful stimulation becomes processed as pain. EEG neurofeedback challenges or "exercises" the brain's own self-regulatory processes and can effect normalization of mood and of the pain threshold. Effectively then, EEG neurofeedback can help the brain recalibrate the pain threshold and the brain no longer interprets all incoming stimuli as sufficient to constitute pain. EEG neurofeedback is a non-invasive process that combines state of the art digital technology to monitor brain function with basic operant and instrumental learning principles to train the brain to change its mode of functioning in ways that were previously not thought possible. Yet the key to neurofeedback's remarkable effectiveness is not the state of the art hardware and software, but rather the brain's own amazing ability to reorganize and maintain its own functional state through a process that has been broadly termed "brain plasticity". With respect to chronic pain, the brain has learned to reorganize itself so as to more efficiently and sensitively process the incoming pain stimuli and EEG neurofeedback can help the brain learn to reorganize itself again so as to pay less attention to the pain stimuli and decrease pain sensitivity. 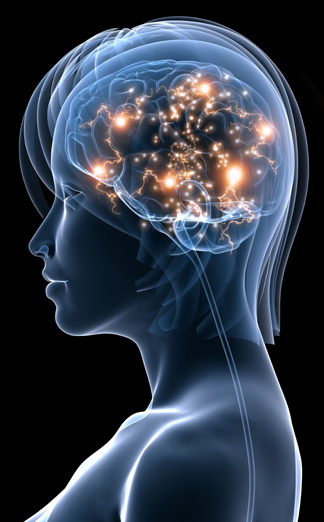 EEG neurofeedback training addresses the basic mechanism by which the brain controls physiological arousal, in that it normalizes the arousal mechanism. The training is effective regardless of the cause by which the person has become depressed, whether from a genetic pre-disposition, physical or emotional trauma, or from a physiological change of unknown origin. As training proceeds the client may find that anti-depressant or stimulant medication may need to be lowered and hence the person should remain under medical care for his or her condition, so that the medication dose may be monitored. Some people experience persistent and on-going pain that does not respond to conventional treatment methods. A new therapy called transcranial direct current stimulation (tDCS) is a non-invasive, non-pharmaceutical and safe option to consider in these cases. Chronic pain is associated with pathologically altered brain activity and morphology. Normalization of these alterations is associated with decreased pain and improved function. One method of altering brain functioning involves the application of weak (low amperage), non-alternating electrical current to the brain through the skull using surface electrodes applied to the scalp. Called transcranial direct current stimulation (tDCS), this technique has been shown to safely and reliably modulate human cerebral cortical function by inducing relatively focal, prolonged--but yet reversible--shifts of cortical excitability. Transcranial direct current stimulation (tDCS) is able to safely and cheaply alter excitability and activity of targeted areas of the brain cortex underlying the sponge electrodes on the scalp to reduce pain by modulating the perception of sensory, tactile, painful, and emotional stimuli and modifying the neurophysiologic correlates of the pain experience. Because the rationale for utilizing tDCS is to reverse the maladaptive changes that occur in the brain as a result of chronic pain, patients with central pain syndromes are expected to be the most appropriate candidates for this treatment, as pain in these patients is due to central nervous system dysfunction. Clinically, tDCS has demonstrated the ability to provide pain relief for neuropathic pain, complex regional pain , fibromyalgia, temporomandibular joint disorder due to trigeminal neuralgia, migraine headache, chronic daily headache, post-stroke pain and multiple sclerosis pain. The response rate for tDCS is approximately 60% and pain relief provided by five to ten tDCS treatments averages 50-60%. By comparison, five sessions of ultra high frequency transcranial magnetic stimulation (TMS) for pain has a slightly higher response rate at about 71% but gives somewhat poorer pain relief at about 20-45% reduction. Although most studies of tDCS have not followed patients for longer than a month after treatment, the retention rate in these studies ranged from 35-65%; with greater retention of treatment effects related to more cumulative treatments (See Plow, et al, 2012). Although the sensorimotor cortex has been the most attractive target region with regard to pain processing, stimulation of other regions of the brain including the supplementary motor, medial prefrontal, dorsolateral frontal and parietal regions, as well as, the cerebellar hemispheres portend benefit. Clinically, the analgesic effect is elicited by several tDCS protocols: cathodal tDCS applied over the somatosensory cortex (SSC), anodal tDCS over the primary motor cortex (M1) and anodal tDCS over the left dorsolateral prefrontal cortex (LDLPFC). Currently, the most commonly utilized approach is to target the motor cortex at M1. Stimulation parameters are consistent across individuals, but for a given individual, there are differences in responsiveness to stimulation. Although tDCS-induced changes occur immediately during the stimulation, we are most interested in the enduring, prolonged after-effects, the long-term potentiation. Analgesic effects of tDCS accumulate and tolerance does not develop. Repeated tDCS sessions yield significantly longer and more robust, but not permanent, pain relief. Severe, long-lasting chronic pain may require several weeks of tDCS and a maintenance protocol thereafter. Tolerance does not develop with tDCS. tDCS can also be combined with TENS, pharmacological and behavioral treatments to provide additive and synergistic benefits. Dr. Mueller has found that a combination of tDCS, biofeedback training of reduced autonomic arousal, and cognitive-behavioral focused pain management counselling has been especially effective in treating patients with chronic pain syndromes. In cases where a significant amount of emotional "suffering" is associated with pain sensations, BAUD therapy (see next section below) will often be an effective adjunct treatment. The perception of pain emerges from a labyrinthine communication of neural structures, and chronic pain may result from a dysfunction in any part of this complex. That is, any aberration or anomaly affecting any part of the network that processes sensation, attention or emotion may contribute to the genesis and maintenance of chronic pain. It is important to appreciate when considering targeted, focal therapies, such as tDCS, that not all types of central pain are caused by the same or similar etiologies, and so not all patients with chronic pain will benefit from the same parameters of stimulation. Thus, several protocols may have to be tried before pain relief is achieved. Recent research by Alexandre DaSilva and colleagues at the University of Michigan published in the January 2013 issue of Frontiers in Psychiatry found that tDCS over the motor cortex causes release of mu-opioid, a natural opiate-like substance that substantially relieves pain. A single 20-minute treatment with tDCS was effective in immediately raising patients' thresholds for cold pain (i.e., cold pressor task) by an average of 36%. Simultaneous positron emission tomography (PET) scans using a radioactive tracer specifically designed to measure the release of mu-opioid that attaches to mu-receptors in the brain and reduces pain perception revealed this to be the mostly likely mechanism. (CBS) There's new hope for people suffering from chronic pain, and that's the focus of our new series, "Easing the Pain." For the first installment, CBS News medical correspondent Dr. Jon LaPook examines a way to cut pain without using medication - instead, it employs an ancient technique: applying electricity. When Detective Thomas Tobin was busting bad guys for the New York City Police, he never imagined that his toughest adversary would turn out to be... pain. "What I usually have constantly is a dull aching crushing pain like deep in my bones, as if my shin is in a vice or somebody is standing on my foot," he told CBS News medical correspondent Dr. Jon LaPook. I all started 10 years ago after an operation for a knee injury. "It was life-changing. I went from working constantly to not working at all," he said. For years, his only relief was a cocktail of prescribed medications. "I take about 35 pills a day," he said. "Every day." Now he's trying something that might seem shocking: an electrical current applied to his head - part of a clinical trial at Beth Israel Medical Center in New York. It's called tDCS, Transcranial Direct Current Stimulation. A small electrical current seems to work by affecting pain centers deep within the brain, somehow muffling the perception of pain. The main side effect so far is slight scalp irritation. Tobin doesn't feel a shock, just a tingling sensation. "In some way that nobody understands and still seems rather magical, pain might be reduced," said Dr. Russell Portenoy. The idea dates back 2,000 years, when a Roman physician found he could relieve gout and headache by placing an electric fish on the scalp. Since then, the technique has been refined. "It's very early," Portenoy said. "And we don't know how effective it will be. We think it will be very safe." Thirty years ago, electrodes were surgically implanted deep within the brain. Years later, on the surface. This new approach places them right on the scalp. This kind of surface stimulation has shown promise in small studies of patients with fibromyalgia and spinal cord injury. "The idea is when you get the treatment and it is successful and the pain gets better then you can start cutting down the on the medication, and see how low you can go" said Dr. Richard Cruciani. Every few months, Tobin gets treatments 20 minutes a day for five days. He says his pain drops significantly after therapy and then slowly returns over time. "I am in a lot less pain today and now it just feels as though I have a sunburn that is a few days old," he said. This therapy is being tested at several centers around the world and more study is needed, but this new variation on an ancient concept is promising -- using electricity to try to zap the perception of pain. Could this could work for all kinds of pain? "That's the hope," says Lapook. "Whatever the cause, it dials down the pain on the brain center. With chronic pain you have to throw the kitchen sink at it. That means integrative medicine, acupuncture, massage, medication in as low doses as possible. The Bio-Acoustical Utilization Device (BAUD), an acoustical neuromodulation biofeedback device, has shown promise in the management of chronic pain resulting from central sensitization. Chronic pain is one of the most difficult problems to treat, especially when central sensitization (CS) has occurred. Research is increasingly clarifying the role that brain plasticity and the limbic system (emotional center) play in the development central sensitization and the experience of chronic pain. Central sensitization is a critical part of the development and maintenance of all chronic pain. It is well established that repeated stimulation of pain circuits creates a greater synaptic potential for these circuits to fire, which eventually culminates in the long-term potentiation (LTP) of the pain circuit and increased sensitization. 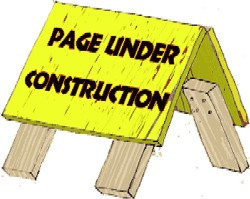 Long-term potention causes the pain circuit to become hyperaroused and literally become stuck in a high-volume firing state and maintains the pain even after the original injury heals, resulting in pain that becomes a chronic self-perpetuating illness. Stress, fear, and anxiety also play a role in potentiated or sensitized neural circuits in the limbic system, especially the amygdala, that perpetuates problematic emotions. The amygdala (fear center) receives sensory input of all types, including nociceptive (pain) information and integrates emotional feelings of threat, fear, and helplessness with incoming pain sensations. When such integration occurs in response to heightened emotion or fear in traumatic situations or with constant repetition, potentiated neural memory circuits of fear and pain are established and strengthened, which can lead to the development of chronic pain. Eventually the pain memory circuits fire and the person feels pain as if the injury is still there, much like the amputee who continues to feel pain in the missing limb. Stress and the release of stress hormones also add to the development of central sensitization through both peripheral and central mechanisms. Peripherally, catecholamines secreted by the adrenal medulla cause hyperalgesia. Central sensitization causes spinal neuroinflammation, decreasing the mechanical nociceptor threshold and increasing sensory hypersensitivity and long-lasting, anxiety-inducing hyperalgesia. The various components of central sensitization are muscle pain, dysthesia, hyperapathia, allodynia, shooting pain, circulatory pain that mimics circulatory insufficiency, and peristaltic pain in the visceral organs. Many people with central sensitization are sensitive to light, noise, medications, temperature and air pressure changes, and may have hypersensitivity to touch and mechanical pressure. Fortunately for many patients who suffer from chronic pain, pioneering research is leading to the development of new treatments focused on brain plasticity and modulating activity in the brain limbic system. Since maladaptive brain plasticity results in the long-term potentiation of complex pain circuits that are characterized by excessive strength, immalleability, and persistence (i.e., overconsolidated) and become hyperaroused and literally stuck in high-volume firing, it makes sense to address this process directly in treatment. The Bio-Accoustical Utilization Device (BAUD) (Insight NeuroSystems Inc.) is a FDA-approved class II, sound-based biofeedback device (www.BAUDtherapy.com) that was originally developed for the treatment of attention deficit disorder (ADD) ans was subsequently discovered to be very effective in treating anxiety or fear-driven stress and negative emotional symptoms. It is now becoming accepted as a powerful new treatment modality for posttraumatic stress disorder (PTSD) and, most recently, is showing great promise in the management of central sensitization and resulting chronic pain. 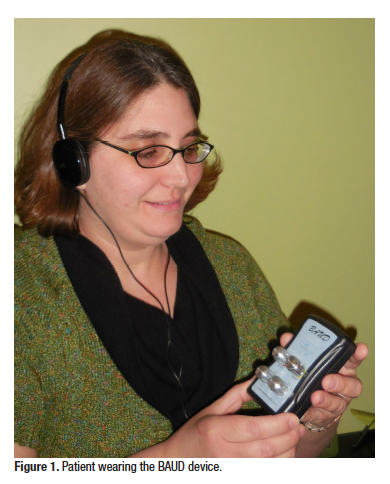 The BAUD device emits adjustable frequency auditory tones to create binaural beats that neuromodulate brain activity in the amygdala and hippocampus regions of the limbic system. Properly used, the BAUD device both stimulates and temporarily disrupts the sensitized neural circuit, which stimulates a neural "reset" courtesy of the brain's ability to self-regulate. Research has shown that once a memory circuit is activated, it can be modified. Memories are most vulnerable to change after activation and before being reconsolidated. BAUD use is more than a momentary distraction. Preliminary brain imaging studies using EEG, LORETA, and fMRI imaging technologies have shown positive neural changes both during the actual BAUD session and persisting for some time afterward. Moreover, thousands of patients who have been treated in numerous clinics and at home with the BAUD device for such problems as phobias, PTSD, strong cravings, compulsive behaviors, and chronic pain also report enduring relief after only one or a small number of treatments. In the case of chronic pain patients, it is believed that BAUD therapy disrupts the active pain circuit and interferes with its reconsolidation; thereby reducing even very persistent chronic pain. As long as they are not overly sensitive to loud, noxious noise, people with chronic pain and central sensitivity are excellent candidates for BAUD therapy and can quite safely use the BAUD device alone or in conjunction with other forms of treatment to manage chronic pain. That said, people with auditory sensitivity are prone to feelings of annoyance and agitation and a worsening of their symptoms when they employ the BAUD device. Similarly, individuals suffering from tinnitus should also be cautious in using the BAUD because it may aggravate the noise they experience in their ears. Antal, A., Kriener, N., Lang, N., et al. (2011). Cathodal tDCS of the visual cortex in the prphylactic treatment of migraine. Cephalalgia, 31(7): 820-828. Antal, A., Terney, D., Kuhnl, S., et al., (2010). Anodal transcranial direct current stimulation of the motorcortex ameliorates chronic pain and reduces short intracortical inhibition. Journal of Pain & Symptom Management, 39(5): 890-903. Arul-Anandam, A., Loo, C., Martin, D., et al., (2019). Chronic neuropathic pain alleviation after transcranial direct current stimulation to the dorsolateral prefrontal cortex. Brain Stimulation, 2: 149-151. Boggio, P., Zaghi, S., Lopes, M., et al. (2008). Modulatory effects of anodal transcranial direct current stimulation on perception and pain thresholds in healthy volunteers. European Journal of Neurology, 15: 1124-1130. Bolognini, N., Olgiati, E., Maravita, A., et al. (2013). Motor and parietal cortex stimulation for phantom limb pain and sensations. Pain, 154(8): 1274-1280. Borckardt, J., Bikson, M., Frohman, H., et al. (2011). A pilot study of the tolerability and effects of high resolution (HD-TDCS) on pain perception. Journal of Pain, 2: 112-120. Cruciani, R., Esteban, S., Sibirceva, U., et al. (2009). Non-invasive brain stimulation therapy for the management of complex regional pain syndrome (CRPS). Journal of Pain Management, 2: 277-284. DaSilva, A., Mendonca, M., Zaghi, S., et al. (2012). tDCS-induced analgesia and electrical fields in pain-related neural networks in chronic pain. Headache, 52(8): 1283-1295. Fagerlund, A., Hansen, O., Aslaksen, P. (2015). tDCS as a treatment for patients with fibromyalgia: A randomized controlled trial. Pain, 156(1): 62-71. Foerster, B., Nascimento, T., DeBoer, M., et al. (2015). Excitatory and inhibitory brain metabolites as targets of motor cortex tDCS therapy and predictors of its efficacy in fibromyalgia. Arthritis & Rheumatology, 67(2): 576-581. Fregni, F., Boggio, P., Lima, M., et al. (2006). A sham-controlled, phase II trial of transcranial direct current stimulation for the treatment of central pain in traumatic spinal cord injury. Pain, 122: 197-209. Fregni, F., Freedman, S., Pascual-Leone, A. (2007). Recent advances in the treatment of chronic pain with non-invasive brain stimulation techniques. Lancet Neurology, 6: 188-191. Fregni, F., Gimenes, R., Valle, A., et al. (2006). A randomized, sham-controlled, proof of principle study of transcranial direct current stimulation for the treatment of pain in fibromyalgia. Arthritis & Rheumatology, 54(12): 3988-3998. Garzione, J., Bruursema, L. (2016). New technique shows promise as adjunct in chronic pain management. Practical Pain Management, January/February, 2016, pp.88-94. Lindenfield, G., Bruursema, L.R. (2015). Resetting the Fear Switch in PTSD: A Novel Treatment Using Acoustical Neuromodulation. Unpublished Manuscript available from: www.academia.eu/12683048. Maeoka, H., Matsuo, A., Hiyamizu, M., et al. (2012). Influence of tDCS of the dorsolateral prefrontal cortex on pain-related emotions: A study using EEG power spectrum analysis. Neuroscience Letters, 512(1): 12-16. Marlow, N., Bonilha, H., Short, E. (2013). Efficacy of transcranial direct current stimulation and repetitive transcranial magnetic stimulation for treating fibromyalgia syndrome: A systematic review. Pain Practice, 13(2): 131-145. Mendoca, M., Santana, M., Baptista, A., et al. (2011). Transcranial DC stimulation in fibromyalgia: Optimized cortical target supported by high resolution computational models. Journal of Pain, 12(5): 610-617. O'Connell, N., Wand, B., Marston, L., et al. (2011). Non-invasive brain stimulation techniques for chronic pain. A report of a Cochrane systematic review and meta-analysis. European Journal of Physical & Rehabilitation Medicine, 47(2): 309-326. Plow, E., Pascual-Leone, A., Machado, A. (2012). Brain stimulation in the treatment of neuropathic pain. Journal of Pain, X:1-14. Riberto, M., Marcon Alfieri, F., Monteirio de Benedetto Pacheco, K., et al. (2011). Efficacy of transcranial direct current stimulation (tDCS) coupled with a multidisciplinary rehabilitation program for the treatment of fibromyalgia. The Open Rheumatology Journal, 5: 45-50. Rocha, S., Melo, L., Boudoux, C., eta l. (2015). tDCS in the prophylactic treatment of migraine headache based on interictal visual cortex excitability abnormalities: A pilot randomized controlled trial. Journal of Neurological Science, 349(1-2): 33-39. Roizenblatt, S., Fregni, F., Gimenez, R., et al. (2007). Site-specific effects of tDCS on sleep and pain in fibromyalgia: A randomized, sham-controlled study. Pain Practice, 7(4): 297-306. Valle, A., Roizenblatt, S., Botte, S., et al. (2009). Efficacy of transcranial direct current stimulation (tDCS) for the treatment of fibromyagia: Results of a randomized, sham-controlled longitudinal clinical trial. Journal of Pain Management, 2: 353-362. Vaseghi, B., Zoghi, M., Jaberzadeh, S. (2015). A meta-analysis of site-specific effects of cathodal tDCS on sensory Perception and Pain. PLOS One, May 2015, 0123873. Migraine prophylaxis by anodal transcranial direct current stimulation, a randomized, placebo-controlled trial. Auvichayapat P, Janyacharoen T, Rotenberg A, Tiamkao S, Krisanaprakornkit T, Sinawat S, Punjaruk W, Thinkhamrop B,Auvichayapat N.
Source:J Med Assoc Thai. 2012 Aug;95(8):1003-12. Past evidence had shown that consecutive motor cortex (M1) stimulation with anodal tDCS was effective to relieve central pain. 37 migraine patients participated in the final analyses (active: n = 20, sham: n = 17). Between-groups comparison of attack frequency, pain intensity, and abortive medications used were performed at 4, 8, and 12 weeks after treatment. The results showed statistically significant reduction in attack frequency and abortive medications at week 4 and 8 after treatment. The pain intensity was statistically significant reduced at week 4, 8, and 12. All patients tolerated the tDCS well without any serious adverse events. The present study suggests that anodal M1 tDCS may be a safe and useful clinical tool in migraine prophylaxis. The mechanism of action of anodal tDCS on neuromodulation in migraine patients needs further investigation. tDCS-induced analgesia and electrical fields in pain-related neural networks in chronic migraine. Dasilva AF, Mendonca ME, Zaghi S, Lopes M, Dossantos MF, Spierings EL, Bajwa Z, Datta A, Bikson M, Fregni F.
Source:Headache. 2012 Sep;52(8):1283-95. doi: 10.1111/j.1526-4610.2012.02141.x. Epub 2012 Apr 18. We investigated in a sham-controlled trial the analgesic effects of a 4-week treatment of transcranial direct current stimulation (tDCS) over the primary motor cortex in chronic migraine. In addition, using a high-resolution tDCS computational model, we analyzed the current flow (electric field) through brain regions associated with pain perception and modulation.13 patients with chronic migraine were randomized to receive 10 sessions of active or sham tDCS for 20 minutes with 2 mA over 4 weeks. There was a significant interaction term (time vs group) for the main outcome (pain intensity) and for the length of migraine episodes (ANOVA, P < .05 for both analyses). Post-hoc analysis showed a significant improvement in the follow-up period for the active tDCS group only. Our findings give preliminary evidence that patients with chronic migraine have a positive, but delayed, response to anodal tDCS of the primary motor cortex. These effects may be related to electrical currents induced in pain-related cortical and subcortical regions. The effects of transcranial direct current stimulation with visual illusion in neuropathic pain due to spinal cord injury: an evoked potentials and quantitative thermal testing study. Kumru H, Soler D, Vidal J, Navarro X, Tormos JM, Pascual-Leone A, Valls-Sole J. Source:Eur J Pain. 2013 Jan;17(1):55-66. doi: 10.1002/j.1532-2149.2012.00167.x. Epub 2012 May 18. Neuropathic pain (NP) is common in spinal cord injury (SCI) patients. One of its manifestations is a lowering of pain perception threshold in quantitative thermal testing (QTT) in dermatomes rostral to the injury level. tDCS combined with visual illusion (VI) improves pain in SCI patients. We studied whether pain relief with tDCS + VI intervention is accompanied by a change in contact heat- evoked potentials (CHEPs) or in QTT. We examined 18 patients with SCI and NP before and after 2 weeks of daily tDCS + VI intervention. 20 SCI patients without NP and 14 healthy subjects served as controls. We assessed NP intensity using a numerical rating scale (NRS) and determined heat and pain thresholds with thermal probes. CHEPs were recorded to stimuli applied at C4 level, and subjects rated their perception of evoked pain using NRS during CHEPs. Two weeks of tDCS + VI induced significant changes in CHEPs, evoked pain and heat pain threshold in SCI patients with NP. These neurophysiological tests might be objective biomarkers of treatment effects for NP in patients with SCI. Focal modulation of the primary motor cortex in fibromyalgia using 4×1-ring high-definition transcranial direct current stimulation (HD-tDCS): immediate and delayed analgesic effects of cathodal and anodal stimulation. Villamar MF, Wivatvongvana P, Patumanond J, Bikson M, Truong DQ, Datta A, Fregni F.
Source:J Pain. 2013 Apr;14(4):371-83. doi: 10.1016/j.jpain.2012.12.007. Epub 2013 Feb 14. Fibromyalgia is a prevalent chronic pain syndrome characterized by altered pain and sensory processing in the central nervous system, which is often refractory to multiple therapeutic approaches. Given previous evidence supporting analgesic properties of noninvasive brain stimulation techniques in this condition, this study examined the effects of a novel, more focal method of transcranial direct current stimulation (tDCS), using the 4×1-ring configuration of high-definition (HD)-tDCS, on overall perceived pain in fibromyalgia patients. In this patient- and assessor-blind, sham-controlled, crossovertrial, 18 patients were randomized to undergo single 20-minute sessions of anodal, cathodal, and sham HD-tDCS at 2.0 mA in a counterbalanced fashion. The center electrode was positioned over the left primary motor cortex. We found that both active stimulation conditions led to significant reduction in overall perceived pain as compared to sham. This effect occurred immediately after cathodal HD-tDCS and was evident for both anodal and cathodal HD-tDCS 30 minutes after stimulation. Source:Clinical Journal of Pain, nov 2013, 29(11): 925-928. Results from this pilot feasibility (N=40) study suggest that tDCS may be able to reduce post-TKA opioid requirements. Forty patients undergoing unilateral TKA were randomly assigned to receive a total of 80 minutes of real (n=20) or sham tDCS (n=20) with the anode over the knee representation of the motor strip (C1h or C2h corresponding to the target knee) and cathode over the right dorsolateral prefrontal cortex (F3; located by the EEG 10-20 System). Patient-controlled analgesia (hydromorphone) use was tracked during the ~48 hours postsurgery. Although these results are preliminary, the data support further research in the area of adjunctive cortical stimulation in the management of postsurgical pain. Transcranial direct current stimulation (tDCS) relieved itching in a patient with chronic neuropathic pain. Knotkova H, Portenoy RK, Cruciani RA. Source:Clin J Pain. 2013 Jul;29(7):621-2. doi: 10.1097/AJP.0b013e31826b1329. This case report presents a first note on beneficial effects of tDCS on itching associated with chronic neuropathic pain in a patient diagnosed with syringomyelia. Although there was no change in pain intensity or quality during or after tDCS, the treatment resulted in a reduction in itch to a mild, tolerable intensity that persisted for 3 to 4 months after each course, before returning to the pretreatment level. The patient has agreed to a plan of care that will incorporate neurostimulation every 4 to 6 months, as long as its effectiveness continues. This case provides a rationale for future studies of neuromodulatory treatments for itch, and indicates a potential clinical use of neuromodulation in patients with unrelieved itching. Motor and parietal cortex stimulation for phantom limb pain and sensations. Bolognini N, Olgiati E, Maravita A, Ferraro F, Fregni F.
Source:Pain. 2013 Aug;154(8):1274-80. doi: 10.1016/j.pain.2013.03.040. Epub 2013 Apr 19. Limb amputation may lead to chronic painful sensations referred to the absent limb, ie phantom limb pain (PLP), which is likely subtended by maladaptive plasticity. The present study investigated whether tDCS, a noninvasive technique of brain stimulation that can modulate neuroplasticity, can reduce PLP. In 2 double-blind, sham-controlled experiments in subjects with unilateral lower or upper limb amputation, we measured the effects of a single session of tDCS (2 mA, 15 min) of the primary motor cortex (M1) and of the posterior parietal cortex (PPC) on PLP, stump pain, nonpainful phantom limb sensations and telescoping. Anodal tDCS of M1 induced a selective short-lasting decrease of PLP, whereas cathodal tDCS of PPC induced a selective short-lasting decrease of nonpainful phantom sensations; stump pain and telescoping were not affected by parietal or by motor tDCS. These findings demonstrate that painful and nonpainful phantom limb sensations are dissociable phenomena. PLP is associated primarily with cortical excitability shifts in the sensorimotor network; increasing excitability in this system by anodal tDCS has an antalgic effect on PLP. Conversely, nonpainful phantom sensations are associated to a hyperexcitation of PPC that can be normalized by cathodal tDCS.This evidence highlights the relationship between the level of excitability of different cortical areas, which underpins maladaptive plasticity following limb amputation and the phenomenology of phantom limb, and it opens up new opportunities for the use of tDCS in the treatment of PLP. Postoperative analgesic effect of transcranial direct current stimulation in lumbar spine surgery: a randomized control trial. Dubois PE, Ossemann M, de Fays K, De Bue P, Gourdin M, Jamart J, Vandermeeren Y. Source: Clin J Pain. 2013 Aug;29(8):696-701. doi: 10.1097/AJP.0b013e31826fb302. We tested the potential of tDCS to reduce morphine consumption or pain perception during the postoperative period. 59 ASA I to II patients undergoing lumbar spine surgery were randomized to receive anodal (n=20), cathodal (n=20), or sham (n=19) tDCS in the recovery room in a double-blind manner. Morphine consumption administrated through patient-controlled analgesia (PCA) was the primary outcome; pain perception as measured by visual analog scale was the secondary outcome. There were no statistically significant differences between the 3 groups of patients, either for PCA morphine consumption or for pain scores. We found that, contrary to previous reports, after 5 tDCS treatment periods, mean pain intensity and unpleasantness rating were not significantly different from initial assessment. That is, in this trial tDCS did not provide any pain relief in subjects with neuropathic SCI pain (n = 10). A similar lack of effect was also seen after sham treatment. Because the injury duration in this study was significantly greater than that of previous investigations, it is possible that tDCS is an effective analgesic only in individuals with relatively recent injuries and pain. O'Connell NE, Cossar J, Marston L, Wand BM, Bunce D, De Souza LH, Maskill DW, Sharp A, Moseley GL. Source: Clin J Pain. 2013 Jan;29(1):26-34. doi: 10.1097/AJP.0b013e318247ec09. The goal was to test the proof of principle that active anodal tDCS applied to the motor cortex reduces pain significantly more than sham stimulation in a group of participants with chronic nonspecific low back pain. The study utilized a within-participants sham-controlled, interrupted time series design. A sample of 8 participants was recruited.After 3 days of baseline measures, patients entered a 15-day experimental period (Mondays to Fridays) for 3 consecutive weeks. During this period each patient received sham stimulation daily until a randomly allocated day when active stimulation was commenced. Active stimulation was then given daily for the remaining days of the experimental period. Both the participants and the assessors were blinded. The primary outcomes were average pain intensity and unpleasantness in the last 24 hours measured using a visual analogue scale. Secondary outcomes included self-reported disability, depression and anxiety, a battery of cognitive tests to monitor for unwanted effects of stimulation, and patients' perceptions of whether they had received active or sham stimulation. Data were analyzed using generalized estimating equations. Results do not provide evidence that tDCS is effective in the treatment of chronic back pain. The use of a small convenience sample limits the generalizability of these findings and precludes definitive conclusions on the efficacy of tDCS in chronic nonspecific low back pain. The present study investigated the effect of a single session of anodal, cathodal and sham stimulation (15 mins/1 mA) over the primary motor cortex on the perceived intensity of repeated noxious thermal and electrical stimuli and on elements of quantitative sensory testing (thermal pain and perception thresholds) applied to the right hand in 15 patients with chronic low back pain. The study was conducted in adouble-blind sham-controlled and cross-over design. No significant alterations of pain ratings were found. Further studies applying repetitive tDCS to patients with chronic pain are required to fully answer the question whether experimental pain perception may be influenced by tDCS over the motor cortex. Effects of non-pharmacological pain treatments on brain states. Jensen MP, Sherlin LH, Askew RL, Fregni F, Witkop G, Gianas A, Howe JD, Hakimian S.
Source:Clin Neurophysiol. 2013 Oct;124(10):2016-24. doi: 10.1016/j.clinph.2013.04.009. Epub 2013 May 22. 30 individuals with spinal cord injury and chronic painwere given an EEG and administered measures of pain before and after five procedures (hypnosis, meditation, tDCS, neurofeedback, and a control sham tDCS procedure). Each procedure was associated with a different pattern of changes in brain activity, and all active procedures were significantly different from the control procedure in at least three bandwidths. Very weak and mostly non-significant associations were found between changes in EEG-assessed brain activity and pain. The results provide new findings regarding the unique effects of four non-pharmacological treatments on pain and brain activity. This study used a single tDCS session, and found no clinical impact. A feasibility study assessing cortical plasticity in chronic neuropathic pain following burn injury. Portilla AS, Bravo GL, Miraval FK, Villamar MF, Schneider JC, Ryan CM, Fregni F.
Source:J Burn Care Res. 2013 Jan-Feb;34(1):e48-52. doi: 10.1097/BCR.0b013e3182700675. The aim of this article is to evaluate the neuroplastic changes associated with chronic neuropathic pain following burn injury and modulation feasibility using tDCS. This is a crossover, double-blinded case series involving 3 patients with chronic neuropathic pain following burn injury. Participants were randomly assigned to undergo single sessions of both sham and active anodal tDCS over the primary motor cortex, contralateral to the most painful site. Excitability of the motor cortex was assessed before and after each stimulation session with the use of transcranial magnetic stimulation. An overall decrease in cortical excitability was seen after active tDCS only, as characterized by a decrease in intracortical facilitation and amplitude of motor evoked potentials and an increase in intracortical inhibition.Clinical outcomes did not change after a single session of tDCS. Results are consistent with previous studies showing that patients with chronic neuropathic pain have defective intracortical inhibition. This case series shows early evidence that chronic pain following burn injury may share similar central neural mechanisms, which could be modulated using tDCS. Effects of motor cortex modulation and descending inhibitory systems on pain thresholds in healthy subjects. Reidler JS, Mendonca ME, Santana MB, Wang X, Lenkinski R, Motta AF, Marchand S, Latif L, Fregni F.
Source: J Pain. 2012 May;13(5):450-8. doi: 10.1016/j.jpain.2012.01.005. Epub 2012 Apr 18. Pain modulation can be achieved using neuromodulatory tools that influence various levels of the nervous system. tDCS, for instance, has been shown to reduce chronic pain when applied to the primary motor cortex. In contrast to this central neuromodulatory technique, diffuse noxious inhibitory controls (DNIC) refers to endogenous analgesic mechanisms that decrease pain following the introduction of heterotopic noxious stimuli. We examined whether combining top-down motor cortex modulation using anodal tDCS with a bottom-up DNIC induction paradigm synergistically increases the threshold at which pain is perceived. The pain thresholds of 15 healthy subjects were assessed before and after administration of active tDCS, sham tDCS, cold-water-induced DNIC, and combined tDCS and DNIC. We found that both tDCS and the DNIC paradigm significantly increased pain thresholds and that these approaches appeared to have additive effects.Increase in pain threshold following active tDCS was positively correlated with baseline N-acetylaspartate in the cingulate cortex and negatively correlated with baseline glutamine levels in the thalamus as measured by magnetic resonance spectroscopy. These results suggest that motor cortex modulation may have a greater analgesic effect when combined with bottom-up neuromodulatory mechanisms, presenting new avenues for modulation of pain using noninvasive neuromodulatory approaches. This article demonstrates that both noninvasive motor cortex modulation and a descending noxious inhibitory controls paradigm significantly increase pain thresholds in healthy subjects and appear to have an additive effect when combined. These results suggest that existing pain therapies involving DNIC may be enhanced through combination with noninvasive brain stimulation. Source: Neuromodulation. 2013 Jul;16(4):345-8. doi: 10.1111/ner.12009. Epub 2012 Dec 14. Anodal, cathodal (2 mA), or sham tDCSs were applied on the primary motor cortex of22 healthy subjects in a random order. A cold pressor test was performed ten minutes after initiation of stimulation. Pain threshold and tolerance were defined as time latencies to the onset of pain perception and to the withdrawal from cold stimulus, respectively. Furthermore, pain intensity (on a scale from 0 to 10) was rated at tolerance. The authors found that Anodal stimulation of the primary motor area can be utilized to alleviate cold pain perception in healthy individuals. Source:Front Psychiatry. 2012 Nov 2;3:93. doi: 10.3389/fpsyt.2012.00093. eCollection 2012. We developed a unique protocol where tDCS of the motor cortex is performed during positron emission tomography (PET) scan using a μ-opioid receptor (μOR) selective radiotracer, [(11)C]carfentanil. This is one of the most important central neuromechanisms associated with pain perception and regulation. The active session directly improved in 36.2% the threshold for experimental cold pain in the trigeminal allodynic area, mandibular branch, but not the TNP patient's clinical pain. Interestingly, the single active tDCS application considerably decreased μORBP(ND) levels in (sub)cortical pain-matrix structures compared to sham tDCS, especially in the posterior thalamus. Suggesting that the μ-opioidergic effects of a single tDCS session are subclinical at immediate level, and repetitive sessions are necessary to revert ingrained neuroplastic changes related to the chronic pain. tDCS modulation of visually induced analgesia. Mancini F, Bolognini N, Haggard P, Vallar G.
Source: J Cogn Neurosci. 2012 Dec;24(12):2419-27. doi: 10.1162/jocn_a_00293. Epub 2012 Sep 27. Multisensory interactions can produce analgesic effects. In particular, viewing one's own body reduces pain levels, perhaps because of changes in connectivity between visual areas specialized for body representation, and sensory areas underlying pain perception. We tested the causal role of the extrastriate visual cortex in triggering visually induced analgesia by modulating the excitability of this region with tDCS. Anodal, cathodal, or sham tDCS (2 mA, 10 min) was administered to 24 healthy participants over the right occipital or over the centro-parietal areas thought to be involved in the sensory processing of pain. Participants were required to rate the intensity of painful electrical stimuli while viewing either their left hand or an object occluding the left hand, both before and immediately after tDCS. We found that the analgesic effect of viewing the body was enhanced selectively by anodal stimulation of the occipital cortex. The effect was specific for the polarity and the site of stimulation. The present results indicate that visually induced analgesia may depend on neural signals from the extrastriate visual cortex. Transcranial direct current stimulation does neither modulate results of a quantitative sensory testing protocol nor ratings of suprathreshold heat stimuli in healthy volunteers. Jürgens TP, Schulte A, Klein T, May A. Source:Eur J Pain. 2012 Oct;16(9):1251-63. doi: 10.1002/j.1532-2149.2012.00135.x. Epub 2012 Mar 13. Little is known regarding tDCS effects on nociception in healthy volunteers. In the present study, we examined the effects of anodal, cathodal and sham stimulation of the left primary motor cortex in 17 healthy volunteers on modalities of a comprehensive quantitative sensory testing protocol (including thermal and mechanoreceptive detection and pain thresholds) and on a repetitive heat pain paradigm mimicking clinical pain. The study was conducted in a single-blind crossover fashion. tDCS was applied at 1 mA for 15 min. We could not detect any relevant modulation of somatosensory and pain variables in quantitative sensory testing. In addition, no significant alteration of enhanced pain ratings to repetitive noxious heat stimuli (heat hyperalgesia) was found. However, as pain processing in chronic pain patients might differ, tDCS could exert its antinociceptive effects depending on the activation level of the nociceptive system. Effects of transcranial direct current stimulation on pain perception and working memory. Mylius V, Jung M, Menzler K, Haag A, Khader PH, Oertel WH, Rosenow F, Lefaucheur JP. Source:Eur J Pain. 2012 Aug;16(7):974-82. doi: 10.1002/j.1532-2149.2011.00105.x. Epub 2012 Jan 19. Previous studies have shown that non-invasive stimulation of the dorsolateral prefrontal cortex (DLPFC) could modulate experimentally induced pain and working memory (WM) in healthy subjects. However, the two aspects have never been assessed concomitantly. The present study was set up to investigate the effects of tDCS of the DLPFC on thermal pain and WM in the same population of healthy volunteers. In a randomized and balanced order of different sessions separated by 1 week, 20 min of 2 mA anodal, cathodal or sham tDCS were applied to the left or right DLPFC in two separate experiments. 12 healthy volunteers were enrolled for each stimulated hemisphere. Warm and cold detection thresholds, heat and cold pain thresholds as well as heat pain tolerance thresholds were measured before, during and following tDCS. WM was assessed by a 2-back task applied once during cortical stimulation. Anodal tDCS of the right DLPFC led to an increase of tolerance to heat pain. The present data show an involvement of the DLPFC in the processing of pain and WM. There was no correlation between these findings, suggesting that the analgesic effects of cortical stimulation are not associated with cognitive processing. Influence of transcranial direct current stimulation of the dorsolateral prefrontal cortex on pain related emotions: a study using electroencephalographic power spectrum analysis. Maeoka H, Matsuo A, Hiyamizu M, Morioka S, Ando H.
Source:Neurosci Lett. 2012 Mar 14;512(1):12-6. doi: 10.1016/j.neulet.2012.01.037. Epub 2012 Feb 4. Pain is a multidimensional experience with sensory-discriminative, cognitive-evaluative and affective-motivational components. Emotional factors such as unpleasantness or anxiety are known to have influence on pain in humans. The aim of this single-blinded, cross over study was to evaluate the effects of tDCS on emotional aspects of pain in pain alleviation. 15 subjects (5 females, 10 males) volunteered to participate in this study. In an oddball paradigm, three categories of 20 pictures (unpleasant, neutral, and pleasant) served as rare target pictures from the International Affective Picture System (IAPS). The power of the delta (1-4 Hz), theta (4-8 Hz), alpha (8-12 Hz), beta (12-25 Hz), and gamma (30-40 Hz) frequency bands in the three categories were measured using electroencephalography during an oddball paradigm at pre- and post-anodal or sham tDCS above the left dorsolateral prefrontal cortex (DLPFC). Results showed that the beta band power was significantly increased, and the alpha band power was significantly decreased during unpleasant pictures after anodal tDCS compared with sham tDCS. Furthermore, regarding unpleasant pictures, subjective reports of Self Assessment Manikin (SAM) for emotional valence after anodal tDCS showed a significant decrease of unpleasantness. Therefore, emotional aspects of pain may be effectively alleviated by tDCS of the left DLPFC as was shown not only by subjective evaluation, but also by objective observation of cerebral neural activity. This processing may be mediated by facilitation of the descending pain inhibitory system through enhancing neural activity.